I admit that the title is a terrible clickbait, but I truly hope that UX has finally come to its end. At least the kind of UX we all knew. The times are gone when the UX designer used to be the design evangelist preaching for the user’s satisfaction. UX designers are no longer the lone knights of arts and humanities in the techie world of IT. 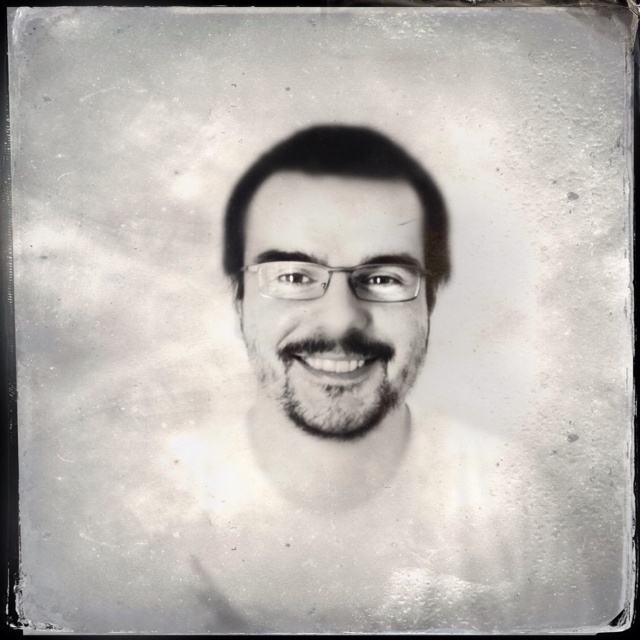 This is a guest post by Maciej Lipiec, Digital Product Designer with a decade of experience. Psychologist. UX Director at K2 Internet. Thanks a lot Maciej! Nowadays, it goes without saying that UX is crucial and we no longer need to explain how important it is. There are lots of buzzwords out there: user experience, customer experience or even human experience (can there be anything more vague? anything so vague that no one really knows what it actually is that you do? ), client-centricity and, finally, design thinking. Everyone loves the buzzwords, even companies’ board members, who have nothing to do with design, but they do know that those words are important. Sadly enough, due to their vagueness, those words have often been downgraded to empty slogans (“The strategy of our organisation is aimed at increasing client-centricity through improving customer experience in the spirit of design thinking”) ;) On top of that, many people believe that projects are born out of research, while they are actually born out of the ideas, work and experience of designers. Many can do great research, but they often fail at the design and delivery stages. Usability is dead because its preachers were too inflexible, sticking to their principles all too rigidly: “always remember to put breadcrumbs”, “all links must be underlined”, etc. Today, countless UX blog posts and articles give advice that is just as daft. Doing real design is designing a system. Every system’s inherent feature is that all its parts are interconnected: changing one parameter will cause a corresponding change in another, which will in turn change another parameter until the ripple effect goes back to the first parameter, altering it again. Everything works in a specific context, which makes every problem unique. Every problem demands a different approach. You always need different solutions, processes and tools. Design is a creative process – a designer comes up with solutions to open-ended issues in the context of existing constraints. No holds barred. A good designer’s answer to every question is: “it depends”. The solution you will get always depends on the resources you have and the goals you’d like to achieve. I think that UX is slowly dying, weighed down by its own buzzwords, vagueness and the cliches repeated over and over again. Maybe we should just let all kinds of [insert your favourite type here] Experience go? Make things simple and say that we make digital products, services and apps? Say that we design processes, structures and interfaces? That’s what we’re best at. Just like visual identity designers are best at designing visual identity, architects are best at doing architecture and copywriters write the best copies. UX is not the panacea to all your problems. 2016 is going to be the year of Product Design. 2016 is definitely NOT going to be about Service Design, which turned out to be a disappointment. It’s hard to tell what Service Designers actually do and what is it that they deliver as the end product. Moreover, some kind of product is usually a tangible part of every service. User experience is not a single guy’s responsibility. Nor is it the design process, the mockups or the research. UX is what an actual user feels (or experiences) when interacting with a product. The success of a digital product has its roots in good strategies, design, content, processes, technologies and project management. This is a joint effort of many people. A failure in any of the areas can potentially result in the failure of the whole product. If a designer has no say about the future shape of the product and its business model, we can’t expect they will be able to really help in the development of the business itself. I ended up doing UX by complete chance. During the few years at uni studying psychology, I thought there is no real purpose to it. Only now have I discovered the value of it. Maybe I’d choose to study a different subject now. It took me many years to become confident in the world of design. Nowadays, just about everyone wants to become a UX-er, because it seems so easy: you don’t really need to know anything about designing interfaces (since UX ≠ UI! ), you don’t need to know much about technology, you don’t need to be able to code, you don’t need to know much about business or marketing. Just stick to design thinking! The job market will scoop you up immediately, because every company is looking for a UX designer at the moment. Then, after half a year of doing the UX magic, it will turn out that you haven’t built anything of value in the end. Just saw work of one "UX Guru" which reminded me that rule #1 is: (many) UX folks are (still) just designers who can't design. Last year, I also had a chance to see some creations by certain Polish UX gurus, which took them months of work. They did all the work as if it had still been 2005, conforming to all the UX best practices: research, personas, grey wireframes… lots of grey wireframes. What it all lacked though, were good business decisions and a coherent overarching idea (let’s just throw in as many features as we can!). As far as the execution is concerned, the wireframes designers didn’t have the skills to build anything that could become a clear, coherent and stylish layout. How can we ensure that our industry still has a reason to exist? The answer is that we should be generalists. We should keep up-to-date the developments in business, economy, design, psychology, marketing, management, advertising, architecture, technology – that is, everything but UX. At the same time we need to develop our hard skills, such as interface design, graphic design and prototyping. @andybudd A product designer does both tangible & digital, both tactical & strategic, both UI & experience design. A natural career path for a UX designer is to become a Creative Director, Producer, Product Designer or Product Owner. A UX designer will be able to see the big picture, notice business opportunities or a problem that needs to be solved. UX designers are more than qualified to come up with a creative idea and then make sure that the idea is executed properly. They can – in collaboration with a team of experts – translate information, structures, content and processes into a real product. All of the above is far from straightforward, because it requires experience – the more different projects you worked on in the past, the better. Well I work for a digital agency, have a UX background, head up the UX function and have the title creative director. The rationale for my becoming a CD, not UXD, is that UX is one of the three creative disciplines that you need for great digital creative (the other being, of course, art direction and copywriting). It makes sense then, just as ADs and CWs can „transcend” their particular technical skills, become a CD and steer an account or pitch to great creative, UX should be able to do the same. The other part of the rationale relates to responsibility. The account director is responsible for the relationship and commercials, the tech director the tech build, the creative director the creative output etc etc. What’s an experience director responsible for? The „experience”? What is that? Feels very vague and wishywashy to me. Nope, if us UXers are to be more than just usability engineers, forever building out others’ ideas, I think we have to step up and truly establish UX as a creative discipline and that means a career path that ends at ECD (or, hell, president of the universe if you’re really good). The state of UX is not that great now. I don’t even like to use the term any more (by the way, this is why UXcamp got rebranded into Productcamp). People tell me all the time that a UXer’s only responsibility is to design the user’s experience and, maybe, do user research. Anything that goes beyond these two areas shouldn’t be our responsibility. That copywriter out there is doing the content. The girl from the marketing team is developing the business model. Functionalities? “That’s what the growth team wanted”. Price? “I don’t really care, mate, I do the design – that’s all”. In the meantime, elsewhere in the world the distinction between UX designers and product designers is becoming more and more blurry. The best term that captures the new evolved responsibilities of a UX designer is ‘producer’. A producer is a person who is an expert in two or three areas (e.g. research and design), but still has the rudimentary skills and the management’s support to oversee a project from the very conception until its delivery. I don’t mean that a producer is supposed to make sure everyone sticks to the budget or keeps their deadlines – they aren’t PMs after all. What I mean is that a producer should be responsible for the conceptual and the business sides of things. We need to remember that UX doesn’t begin with the first drawings – it begins much earlier. Even earlier than user research, earlier than psychology and ethnography. It begins with spreadsheets, numbers and the will to make profit. It begins with selling benefits, spotting the gaps in competitors’ product ranges. It begins with the capitalist motivation to make money. An average UX-er in Poland stays too close to the user and too far from the business. We are responsible for the ergonomics of a product, but we don’t get to decide what its added value for the user or the business is going to be. Most CVs we receive come from graduates of SWPS (The University of Social Sciences and Humanities in Warsaw). The arts and humanities background of most UXers along with the romantic interpretation of UX and no influence over business decisions lie at the heart of the problem. Corporate silos and complicated processes don’t really help either. “The business development team is going to give you the concept – you just design it”. Of course, the actual design work is a big part of UX, but UX is much more than that. Just to make things clear: UX is also more than the conceptual work, out of touch with the actual project. Good business sense in every aspect of the project: what we need to do and how we should do it. The generic processes you can read about in every book on design are usually worthless when it comes to real projects. Working with people: gathering data and information, communicating our opinions and decisions, selling the project, surviving the corporate politics. Working on the interface from the initial concepts until the delivery of all the details. Don’t call yourself a designer, if you can’t do the actual design work in the area of your choice. You just can’t do it any other way. All the ancillary stuff is not that important. Axure, Photoshop, Sketch, Bootstrap, Sharepoint, methods, research, personas, customer journeys and whatnot are only tools that will be bring you closer to your goal. The end goal of UX is the final working product, which in turn contributes to the general business goals.